To determine whether a fast reduction in fat mass can be achieved in 4 days by combining caloric restriction (CR: 3.2 kcal/kg body weight per day) with exercise (8-h walking + 45-min arm cranking per day) to induce an energy deficit of ∼5000 kcal/day, 15 overweight men underwent five experimental phases: pretest, exercise + CR for 4 days (WCR), control diet + reduced exercise for 3 days (DIET), and follow-up 4 weeks (POST1) and 1 year later (POST2). During WCR, the diet consisted solely of whey protein (n = 8) or sucrose (n = 7) (0.8 g/kg body weight per day). 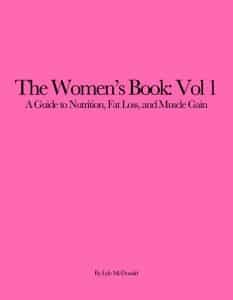 After WCR, DIET, POST1, and POST2, fat mass was reduced by a mean of 2.1, 2.8, 3.8, and 1.9 kg (P < 0.05), with two thirds of this loss from the trunk; and lean mass by 2.8, 1.0, 0.5, and 0.4 kg, respectively. After WCR, serum glucose, insulin, homeostatic model assessment, total and low-density lipoprotein cholesterol and triglycerides were reduced, and free fatty acid and cortisol increased. Serum leptin was reduced by 64%, 50%, and 33% following WCR, DIET, and POST1, respectively (P < 0.05). The effects were similar in both groups. In conclusion, a clinically relevant reduction in fat mass can be achieved in overweight men in just 4 days by combining prolonged exercise with CR. I’ve discussed the impact (or rather, the often non-impact) of exercise on weight/fat loss a number of times on the site under most circumstances. The reality being (as most studies show) that the types of realistically achievable amounts of exercise by the average obese individual is simply too low to massively impact on energy balance or total weight/fat loss. Certainly there is some effect (that is enhanced when it is combined with caloric restriction) but it’s rarely massive with most research showing that the primary role of exercise being improved weight maintenance. However, there is the occasional paper that comes along that imposes a fairly large amount of activity and generates a fairly large amount of fat loss. One that comes to mind (that I cannot find at the moment) had subjects bicycle for 2 hours/day 6 days/week and saw a significant fat loss over the length of the study. Every so often, someone will come along on a forum and ask if doing some absurd amount of activity will generate massive fat loss (one person I recall from a forum decided to do something like 6-8 hours of low intensity cycling, while seated at his desk, and keeping calories stable and just lost fat at a staggering rate). Which leads right into the paper I want to look at today. As the title of the paper suggests, the researchers wanted to see whether or not a significant amount of fat mass could be lost in a mere 4 days; building on previous research they actually looked at the combination of a very large amount of activity along with extremely severe caloric restriction. They also decided to look at whether diet composition (pure protein vs. carbohydrate) would exert any differential effects based on the idea that dietary protein is better at sparing lean mass lost. Finally they did follow ups on the subjects at both short- and long-term (4 weeks and 1 year post intervention). A host of health measures and hormonal measurements (insulin sensitivity and leptin for example) were also done. Body composition was measured both with DEXA and Bioimpedance (to get a measure of changes in body water). So specifics: the subjects were aged 18-55 and had been weight stable for at least three months; all had body fat percentages between 20 and 40% (the average was 31%+- 5% or so) and the study ended up with 7 subjects in the sucrose group and 8 in the protein group (it was a small study). The study was divided into five distinct phases. Phase 1 was one week of normal activity. Phase 2 was the actual 4-day intervention which was followed by Phase 3 which was 3-days of a normal diet and limited activity which was meant to stabilize hydration status. Phase 4 was four weeks where subjects could eat and exercise by their own choice and Phase 5 was a one year follow-up. Ok, so the intervention; as I mentioned above there were two components. The first was the exercise component (remember again that this was a 4-day intervention). For exercise, each day the subjects followed an overnight fast with 45 minutes of one-arm cranking exercise (at 15% maximal intensity) followed by 8 hours of walking at 4.5 km/h (2.8 mph) for a total of 35 km (21 miles) of walking per day. None of that is a typo; it was 8 hours and 45 minutes of exercise a day all at very low intensities. I can’t find in the paper where they indicate why they decided on this protocol (especially the initial 45 minutes of arm cranking). The diet was equally extreme, subjects were given 3.2 kcal/kg (1.4 kcal/lb) which was roughly a 90% deficit from their maintenance energy intake. So a 100kg (220 pound) subject would have been consuming 308 calories. Again, not a typo and the total daily deficit was calculated to be around 5500 calories/day. Protein was set at the DRI (formerly the RDA) of 0.8 g/kg (0.36 g/lb). The subjects either received nothing but whey protein (so about 75 grams of protein per day for our 100kg example subject) or pure sucrose (table sugar) along with some minerals and fluid; they were allowed a rehydrating drink (which looked more or less like Gatorade) during the day. Repeating from the above, this was followed for only 4 days before the subjects were moved back to maintenance calories and rehydrated to stabilize their body weight. As you might expect, the results were as extreme as the protocol. I’ve indicated the total losses from baseline below. *This loss of lean mass only amounted to 15% of the total loss or so, actually below the theoretically “expected” 25% loss of LBM that is thought to be normal and par for the course. If you’re wondering why I didn’t make a distinction between the protein group and the sucrose group in terms of losses, it’s because there was no difference. Both groups lost the same amount of fat mass and lean mass and the protein showed no lean mass sparing effect. I’d also note that most of the loss was in the form of trunk fat (and probably some visceral fat loss) which is known to have greater negative impacts on health than fat carried in other places. I’d noted in passing that the intervention showed equally extreme impacts on measures of insulin sensitivity along with a lowering of glucose and insulin, plasma triglycerides and cholesterol. Note that most of these had returned to baseline by the four week followup. One question worth addressing is why the protein group wasn’t superior to the sucrose only group which is in contrast to previous studies on the topic. The researches suggest that the extremity of the caloric deficit along with the very low-calories was probably part of this. They add that “It remains to be determined whether better preservation of LM could be achieved with a higher intake or other types of proteins.” I’d comment that this doesn’t really remain to be determined. As I discuss in detail in The Protein Book (and in fact based an entire dietary approach around in The Rapid Fat Loss Handbook) it’s been known for quite some time that higher protein intakes (starting at 1.5 g/kg or at least double what this study provided) is required to limit lean body mass losses when calories are restricted. As well, given the very low protein intake in this study, a slower digesting protein such as casein or milk protein would probably have proved superior. As the researchers themselves point out “…in the absence of dietary carbohydrate and the presence of significant catabolic stress most of this protein may have undergone oxidation or ketogenesis to maintain hepatic gluconeogenesis.” (translation to non-nerd: the protein was burned off or converted to ketones to produce glucose in the liver). They add “Our results also indicate that when the energy deficit is very high, ingestion of the recommended dietary requirements for protein (0.8 g/kg or 0.36 g/lb) does not prevent loss of body protein any more effectively than the same amount of energy provided in the form of sucrose.” Honestly this is the most perplexing part of the study to me: it’s 2014 and beyond well established that this amount of protein is insufficient on a diet. I’m not sure I have much to add beyond that and I also don’t mean to present this paper as a protocol to be followed. Even the authors comment “The present proof-of-concept study does not propose an alternative treatment for obesity. Although most of the subjects tolerated the intervention relatively well, all complained of muscle and joint pain, individuals who are less strongly motivated would probably not tolerate this type of intervention.” They also aren’t sure what caused the continued loss of a small amount of fat at the 1-year mark. Basically I just thought it was an interesting little paper in that it showed what is at least biologically plausible or feasible in the short-term. I’ve seen the occasional person apply something along those lines (usually the massive amounts of daily low-intensity activity without the extreme caloric deficit) and see some fairly stunning results. It’s still not very applicable to the majority although with the increase of some of the new walking/standing desks it might be.